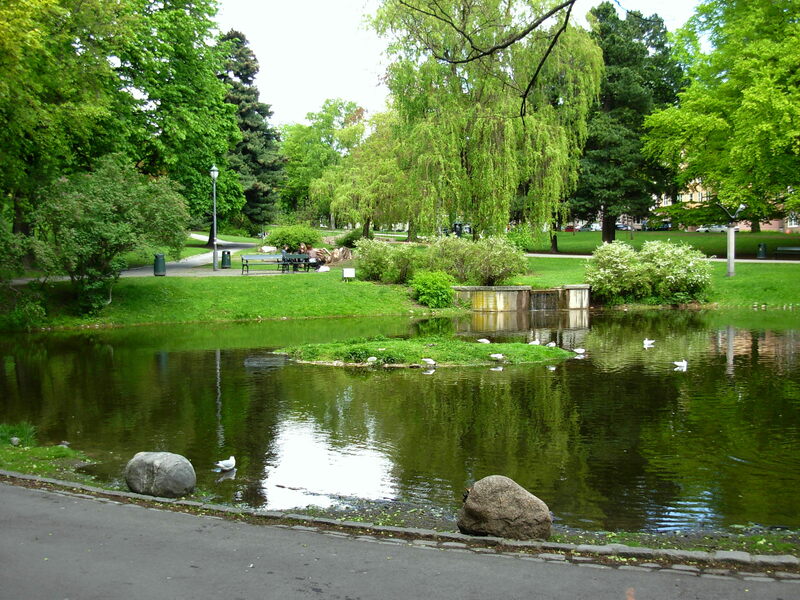 Parks and open spaces are an important part of the landscape of Oslo. The various parks and open spaces are interconnected by paths so that the city’s inhabitants can walk between them. As the city expanded in the middle of the 19th century, areas were appropriated for parks and recreational purposes. The eastern part of the city was prioritized due to congestion and industrialization. The residential and more affluent western parts of the city have comparably fewer parks and open spaces. 95% of the city’s inhabitants have a park or an open green space within 300 meters of their home. In the Late Medieval Age, there was a garden north of the Olav’s monastery (currently the bishop’s residence), where vegetables were grown. The garden also had a fish pond. 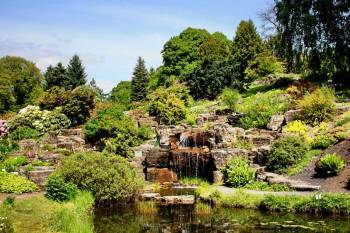 Aside from that information, little is known about gardens in medieval Oslo. The garden in Akershus Fortress is the earliest depicted garden in Norway, possibly created around 1560. The garden had neatly arranged beds, a pavilion and a fish pond called Munkedammen after the feudal overlord Christen Munk. The Slottsparken, surrounding the Royal Palace, was laid out from 1838 to 1844, in landscape style with large trees, paths, ponds and lawns in the curved terrain. Within Slottsparken the Dronningparken is a romantic, intimate park, constructed some years after the main park and in general closed for the public, except for a limited time during the summer. To the east, facing Karl Johans Street are the heights Abelhaugen and Nisseberget. The 225-decare large park has a number of well-known statues and sculptures. World famous Norwegian writer Henrik Ibsen had his very own potato field inside the Kings garden in Slottsparken. In the years 1814–18 the Botanical garden in Tøyen was laid out. Its mission was, and still is, to manage and develop documented, living plant collections for use in research and teaching, imparting knowledge about the botanical diversity and importance of plants for life on Earth, and help to preserve endangered plants. It is the oldest botanical garden in Norway and many Norwegians choose to get married within these beautiful surroundings. The Medieval Park lies within the medieval town in Oslo. In this area, development is not allowed due to ruins, like the Clemens Church, St. Mary’s Church and the ancient royal residence. 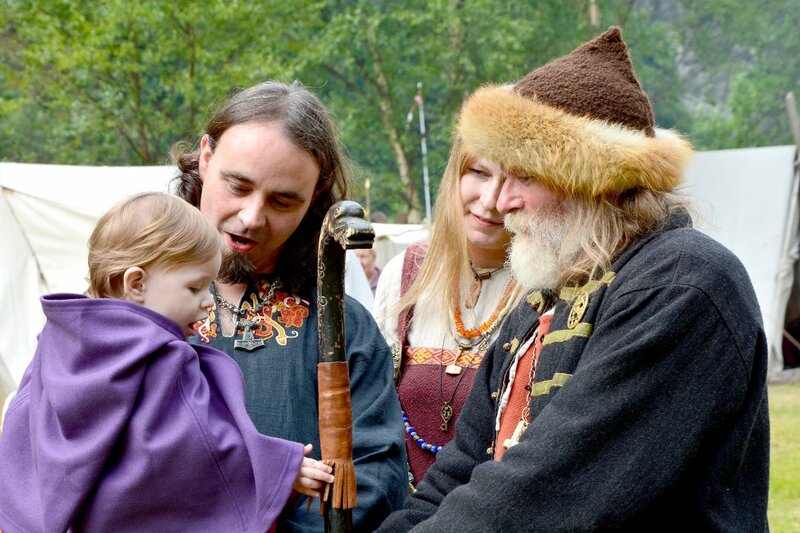 Oslo Medieval Festival and the Oya festival are annual events that take place in the Medieval Park. 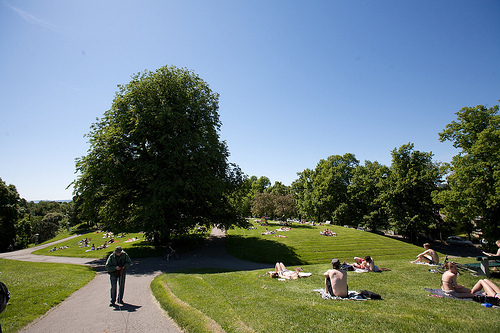 Since spring is soon arriving, the parks are, yet again, gold mines for sun-hungry Oslo citizens. Bring your portable barbecue, radio along with good friends, good drinks and food, and enjoy the good times!